Need we say more? 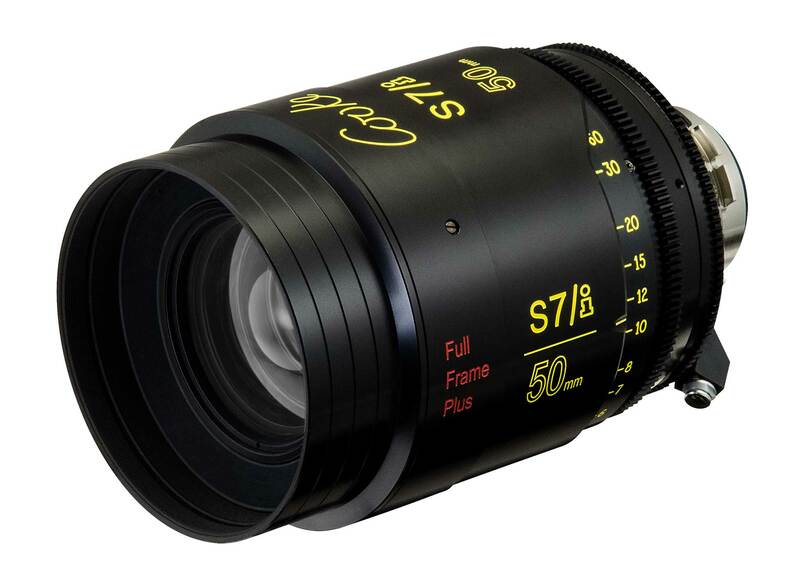 The new Cooke S7/i lenses cover an image circle up to 46.31 mm diameter. That’s every format from RED 8K VV 21.60×40.96 mm (46.31 diagonal) to Full Frame 24×36 mm (43.3 mm diagonal) and anything on down. Why would you want a bigger Cooke Look? Full Frame and Large Format is gathering momentum. It is future-proof because these lenses work equally well on Super35, current Full Frame, VV and the inevitable arrival of new cameras to come. The new Cooke S7/i lenses are extremely fast and go incredibly close. Maximum aperture is T2. Minimum object distance is around 4 to 6 inches in front of the wider ones. Front diameters are nicely compact at 110 mm. Cooke /i Technology connections are in the expected places. Focus is the same familiar Cooke cam-drive mechanism that feels as smooth and silky as the image looks. The main difference is large format coverage. Available beginning June 2017 in focal lengths: 18, 25, 32, 40, 50, 75, 100 and 135 mm. Price will be between S4/i and S5 — and will be posted on the ZGC website for USA rates. 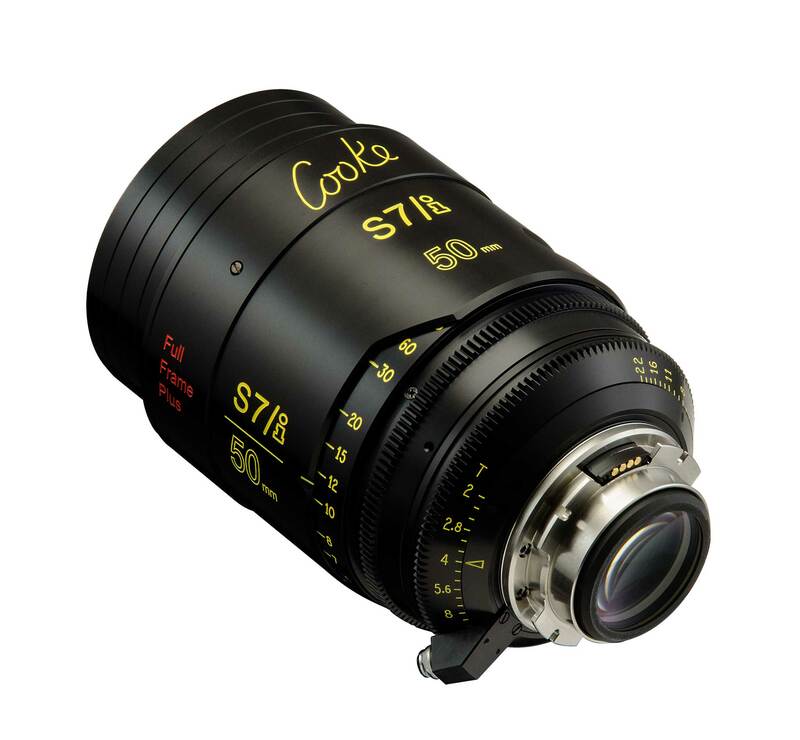 See Cooke Optics S7/i Prime Lens Full Frame Demo Reel on Vimeo. Shot on RVZ’s RED W8K VV (courtesy of Samuel Renollet) by Michael Lindsay and Brendan McGinty. If my math is right (and it is…), 46,31mm diagonal does NOT cover Alexa 65 sensor. Danys, Well–isn’t it like a glass of fine wine? You don’t have to fill the entire glass…or frame? As soon as I have the whole bottle by my side, I don’t need to fill the glass. How do you deal with the missing image? JPF, We can experiment with wine glasses and bottles at NAB. Seriously–you just window in camera or crop the image in post to the desired size. For example, Alexa 65 has an image circle diagonal of about 60mm. 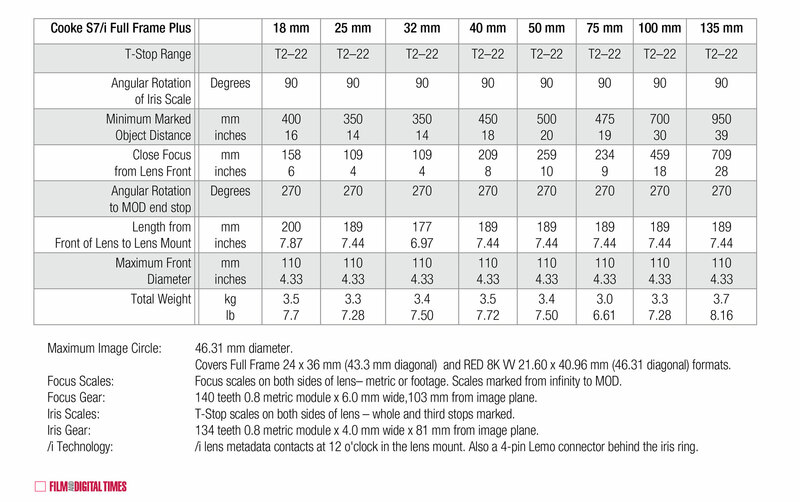 Panavision Primo 70 lenses have an image diagonal of about 52mm. Quite a few shows have been shot with Primo 70s on Alexa 65. Also, image circles are an interesting thing. They don’t cut off sharply; there is usually a gradual shading toward the edges. There’s an article on this in the upcoming NAB edition of FDTimes. Also: you don’t have to take a manufacturer at their word about image circle. You may like a lot more shading (darkening) toward the edges of frame than the lens designer ever imagined you would! I got the opportunity to put the S7/i (32, 40, 50,75 and 100mm) on a Phantom 65 and the coverage goes cleanly beyond RED VistaVision. If you use the ARRI Alexa 65 in its smaller 16:9 mode they should be good (42.24mm x 23.76mm)… I will try and work our where to put the frames I pulled from the Phantom 65 and post a link here..